Seize the opportunity and submit your application to exhibit at Asia Fruit Logistica, which returns to AsiaWorld-Expo Center in Hong Kong on 4-6 September. This year, leading companies from the fresh herbs, spices and sprouts categories as well as the frozen fruit and vegetable sector will also join the global fresh fruit and vegetable trade at Asia Fruit Logistica, bringing a greater range of business opportunities. Application forms can be downloaded from the official website. Seeking out these opportunities is simple at Asia Fruit Logistica: Asia’s premier business and information hub is the perfect vehicle for developing industry relationships and forging new connections. Clay Wittmeyer, director of international sales at US-based exhibitor Naturipe, agreed that the timing and location of Asia Fruit Logistica are ideal for regional customer meetings, and he added there are vast opportunities to be sought out through the innovations and initiatives showcased by attendees at the event. 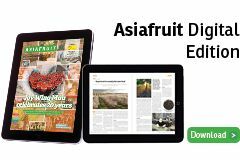 “Asia Fruit Logistica surprises me every year,” he said. Get a head start on information and networking opportunities at Asia Fruit Logistica, Asia’s premier fresh produce conference event taking place the day before Asia Fruit Logistica at the same venue on 3 September. 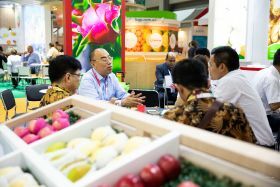 On the show-floor at Asia Fruit Logistica, take part in a range of Hall Forums including Asia Fruit Logistica, focusing on marketing and business management; Smart Horticulture Asia for technology and digitalisation in the supply chain; and Cool Logistics Asia providing workshops on cold chain management.